Do you think Athena, at two years old, has a toddler bucket list? Not the kind where you think about death or even the length of life, but the kind where you dream of great adventures, destinations, and experiences? When I created my 2014 bucket list, I wanted to include things for the entire family; their happiness, after all, is directly related to mine so I made a toddler bucket list too. With Athena’s Mickey Mouse and friends obsession, Disneyland topped the toddler bucket list. We spent 10 hours at Disneyland and Disneyland Adventure Park and I realized that my greatest bucket list accomplishments are experiencing the complete joy of others, especially when it’s with my beautiful daughter and husband. Being at Disneyland brought about a joy in Athena, and us, that was magical. As a parent, I can now truly appreciate the hype of Disney. I spent hours planning out the perfect Disneyland day for Athena to fit Athena’s toddler bucket list, incorporating her schedule with her favorite character locations and entertainment options. I thought about what her favorite experience would be and planned that one first. 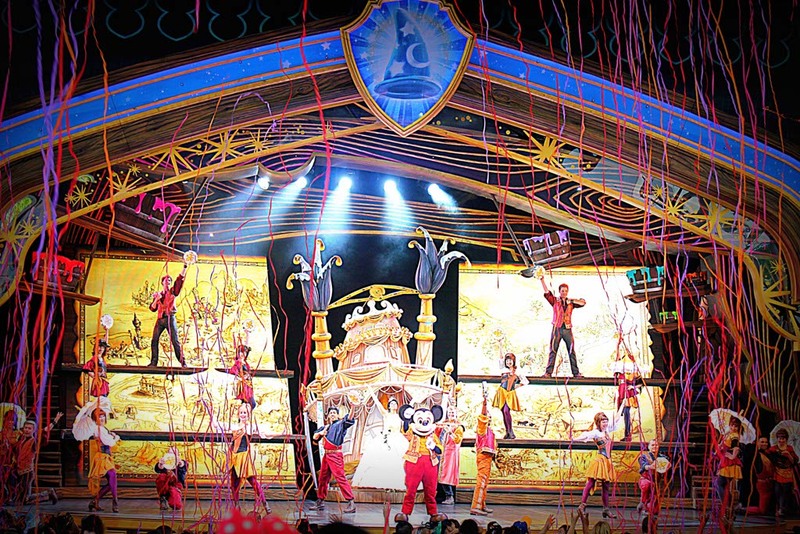 Disney Junior – Live on Stage was the obvious choice. Perfect for preschoolers, Disney Junior characters, including Mickey Mouse, Donald Duck, Daisy, Minnie, Doc McStuffins, and Jake and the Never Land Pirates, all perform together on one stage. We left feeling accomplished, tired from all the excitement, and completely fulfilled. Athena’s toddler bucket list could have been completed in one day at Disney. I have no question, now, that children have bucket lists as well. I don’t know how many items were crossed off of Athena’s list at Disneyland but I know that we’ll return year after year to keep fulfilling her list and mine. 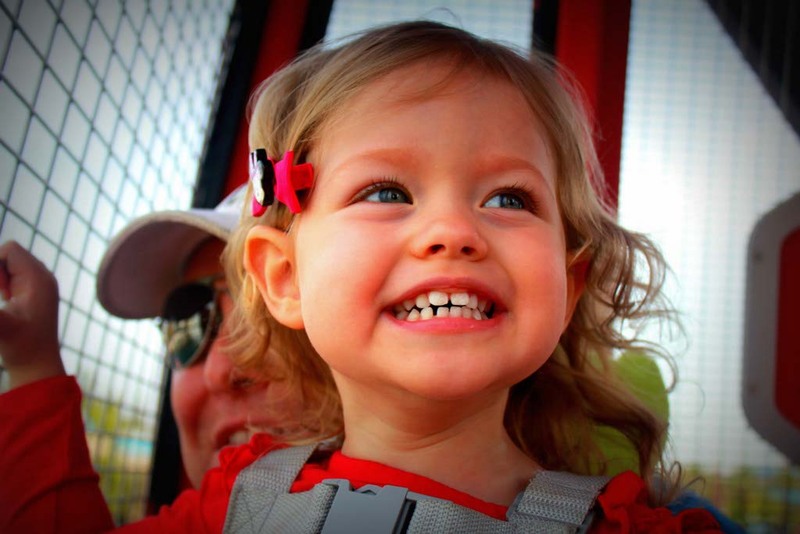 ***Does you have a toddler bucket list for your child? What tops the list? It has the right name as the happiest place on earth. Look at that smile. She is beautiful. I haven’t taken my two kids yet but I’m looking at flights to California now. Thanks for the incentive. Regardless of age, I’m sure they’ll love it! I’d love to hear all about it once you go. Going to Disneyland with my parents is one of my earliest memories. I was 3 years old but I really do remember meeting Mickey Mouse. Congratulations on making the day special for your whole family! What an exciting time for your family! Thanks for sharing it with us! It’s so amazing being back in southern California! In the last month, we’ve visited San Diego Zoo and Disneyland. We’re planning a day at Universal and Knott’s Berry Farm as well. There are so many options here. I love it! Its so great to take them young. What a wonderful experience for her! Yes, there are many amazing places to see in the world but Disneyland should be experienced too. Disneyworld is still one of my kids favorite vacations. I’m grateful that we live near Disney but we don’t go too often. I’d like for it to always be special rather than an every day event. I want her to still love it when she’s older too. Awww! I love this. I was tiny when I first went…and don’t remember a thing. But I’m sure I had a great time just like my kids. I have just as fun much as her when we go. Watching her experience things for the first time is refreshing. How old were your kids when you first brought them? Aw her face is one of pure joy! We are just back from Disneyland Paris and had such a great time. Disney is a really special place! We haven’t been to Disneyland Paris. Do you have posts/photos from your trip? I’d love to see and read more. The pictures really say it all. What a special trip for your daughter and great memories for everyone. I will never forget the first time we took our boys to Disneyland, they loved every minute of it, but it was exhausting! 7 years later and they still ask to go back! Disney really does things right. It is exhausting, isn’t it? There is so much to do and so little time even if you have a couple day pass. We don’t want to get a season pass though because I worry it won’t be as special. She looks so happy! I completely agree that sometimes the happiest moments in travel are the ones when we see just how happy our kids are. We took our two to Disneyworld a couple of years ago and, just like Athena, they were in Disney heaven. I would go again just to see the look on their faces! Where is your favorite place to take your kids? What amazing photographs of such a special day! She won’t remember it, but you have captured such a beautiful experience for her, she’ll always love it. I remember when my girls were little and Disneyland was such a fabulous place for a family vacation! It looks like you all had a fabulous time! I have to say Disney does know how to hire the right people. I was very impressed with how well organized everything was at Disneyworld when we visited.